BCN Law Firm Attorneys have extensive experience in evaluating Personal Injury Cases and assisting clients in protecting their rights. Most personal injury cases are based on the idea of negligence. The Law assumes individuals, corporations and others will act responsibly and not put people at risk. Examples of negligence include accidents caused by impaired drivers, complications that result from a doctor’s carelessness, or animal bites from dogs allowed to roam unleashed. If you’ve been injured as a result of someone else’s negligence – you are not alone. In the US, millions of people are injured in accidents each year, and unfortunately, many of these could have been prevented. Fortunately, the law is on your side. And so are BCN Law Firms Personal Injury Attorneys. We’ll help you determine whether you’re entitled to compensation for your injuries, and if you are, we’ll work aggressively to make sure there is no money left on the table that belongs in your pocket. 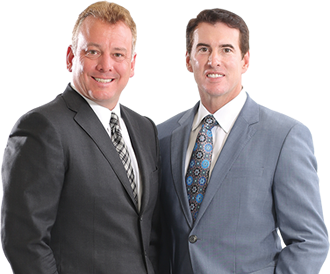 Our personal injury attorneys will sit and talk with you, wherever you are, to learn every aspect of your case. We’ll assess insurance offers, and make suggestions on whether you should accept a settlement. Years of experience have given us the foresight and knowledge to understand what lies ahead of you, and to consider future damages which may harm you for years to come. We know that an injury today can result in pain, emotional trauma and subsequent injuries in the future. With this knowledge, our personal injury attorneys can properly evaluate the full extent of the damage and help to determine if an initial settlement is fair and adequate, and help with ongoing negotiations. Before you talk to an insurance agent or sign any documents, talk to an experienced personal injury attorney from BCN Law Firm. We’re here to protect your rights and to make certain you are doing everything you can to recover physically, emotionally and financially.